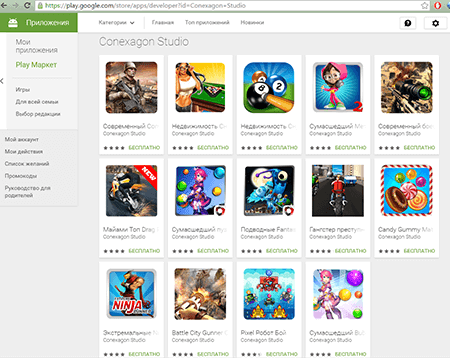 Russian anti-virus company Dr Web published a blog post about Android.Xiny.19.origin, malware which has incorporated itself into more than 60 Android-based games developed by Conexagon Studio, Fun Color Games, BILLAPPS, and some 30 other companies. This new Android trojan that has targeted dozens of games in the official Google Play Store relies on steganography to dynamically run arbitrary APK files. 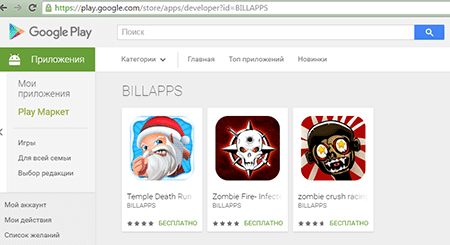 If you have download and use Android gaming applications on your device from these developers, then this part might frighten you slightly. The Trojan is designed to download, install, and run programs upon receiving a command from cybercriminals. Besides, it can display annoying advertisements. The infection process begins as soon as the user begins playing the game, the Trojan is performing its malicious activity. For Now, Dr.Web says that Google has been notified about the issue & failed to take down the apps it reported as infected with Android.Xiny. So Users just be careful before downloading any apps from PlayStore unless you have a Anti-Virus Program installed on your device.